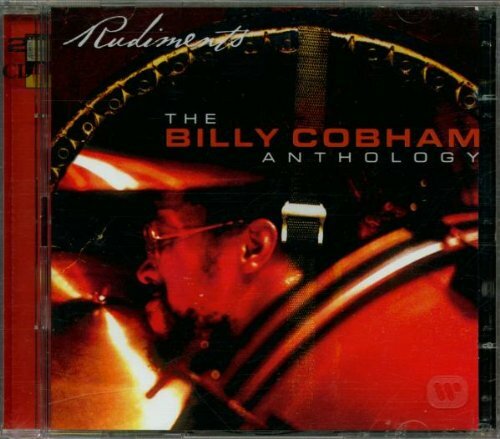 The Good Book of fusion drumming, culled from a half-dozen years in the life of Billy Cobham. After serving in drum corps, the High School of Music and Arts, and the Army band, as well as gigging and recording with Kenny Burrell, George Benson and Junior Mance, Panamanian native Cobham was finally recommended by Jack DeJohnette to Miles Davis in 1969. Things took off like a bullet from there, and soon enough Cobham was firmly established as the Hot New Thing in jazz-rock drumming. He was also noted as a talented composer at the time. Rudiments picks up following his tenures with Miles, Dreams and Mahavishnu Orchestra. Cobham debuted on Atlantic in 1973 with Spectrum and a band that included Mahavishnu keyboardist Jan Hammer, session bassist Lee Sklar, and young guitar wizard Tommy Bolin (who replaced Joe Walsh in the James GangandRitchie Blackmore in Deep Purple). The first five tracks on Disc 1 are drawn from those sessions, and they illustrate just what all the fuss over Cobham was about. His use of dual or triple bass drums presaged Alex Van Halen by years; in fact, Cobham is an acknowledged influence on most 70s and 80s hard-rock drummers. The hell-on-wheels “Quadrant 4” sets the pace for much of this anthology. Bolin is more honestly blues-oriented than John McLaughlin was, and this track sets the blues caravan rolling downhill without brakes. The long, tense synth and drums intro of “Stratus” collapses into a soulful, Zappa-ish guitar theme. The next three tunes are of similar temperament. The remaining seven tracks of Disc 1 feature larger ensembles that include the Brecker Brothers and guitarist John Abercrombie. Randy and Mike Brecker poured more fuel on the Cobham fire, abetted by trombonist Glenn Ferris and keyboardists Milcho Leviev and George Duke alternately. “Spanish Moss” and “Flash Flood” are two sections of a tone poem powered by Latin percussion and urgent electric piano. The “Solarization” suite, “Lunarputians”, “Moon Germs” and “Solar Eclipse” (note Cobham’s preoccupation with things cosmic and atmospheric) continue the grand evolution of his pumped-up soul-funk-rock-jazz hybrid. The last track is perhaps the most dated of the bunch, rather like a Rocky soundtrack edit. Disc 2 continues the odyssey with similar personnel and vibe. “Shabazz”, inspired not by Malcolm X but a chain of bakeries, begins with another thunderous drum solo and ends up in the same kind of groove as much of the prior disc. Things took a heavier turn with A Funky Thide of Sings, his crossover hit of ’75 that ushered in John Scofield. The Breckers’ “Some Skunk Funk” upped the ante of power fusion with its outstanding horn arrangement. “A Funky Thide...” has its roots in martial music as much as the funk. The following year, the horns were gone and Cobham was back to a quartet format. Scofield, bassist Doug Rauch and keyboardist George Duke (under the pseudonym “Dawilli Gonga”) recorded Life & Times, from which tracks 6-8 are drawn. As hot as the horn section was, the personnel reduction brings welcome breathing room for everyone to stretch out. Organist Allan Zavod makes an evocative guest spot on the title track, and Scofield’s own personality begins to emerge more fully. Next are three tracks by the Cobham/Duke Band, including Scofield again and bassist Alphonso Johnson. Duke’s personal aesthetic, filtered through his experience with Zappa, dominates these tracks but Cobham is not to be denied, particularly his double-bass adventure on “Juicy”. The final track, “Arroyo”, marked the end of Cobham’s Atlantic contract in 1978. It’s back to the quartet again, with John Williams in place of Doug Rauch, and the melancholy vibe of the track indicates the closing of doors and moving on. Some of the tracks on Rudiments suffer a bit from sameness, the curse of much pioneer fusion. But in the big picture, this collection is a desirable document of an important period in the music’s development and the star power of its greatest percussionist. It should, just on general principle, be on the CD shelves of every fusion drum enthusiast. Disc 1:Quadrant 4; Stratus; Anxiety; Taurian Matador;Snoopy's Search; Red Baron; All 4 One (outtake);The Pleasant Pheasant; Spanish Moss; Flash Flood; Solarization; Lunarputians; Moon Germs; Total Eclipse. (Total Time: 60:21). Disc 2:Shabazz; Some Skunk Funk; A Funky Thide Of Sings; Panhandler; Neu Rock N' Roll (outtake); Life & Times; 29; Earthlings; Hip Pockets - The Billy Cobham/George Duke Band; Juicy - The Billy Cobham/George Duke Band; Do What Cha Wanna - The Billy Cobham/George Duke Band; Arroyo. (Total Time: 67:23). 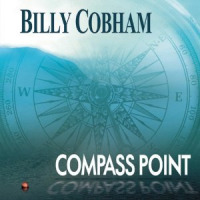 Personnel: Billy Cobham and a cast of thousands.